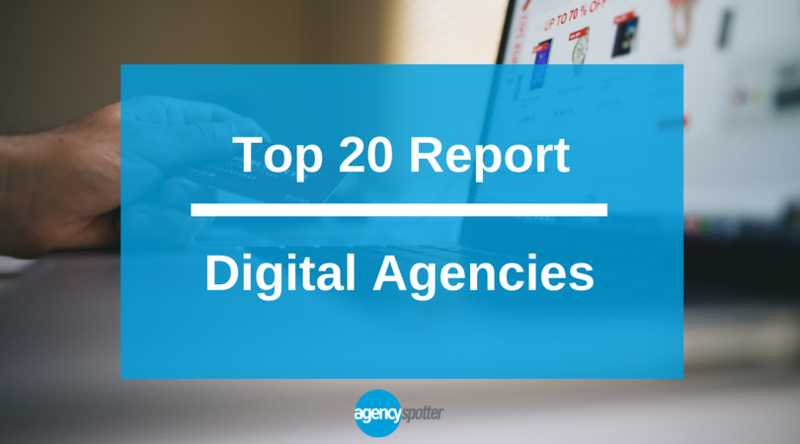 The Top Digital Agencies Report evaluates more than 4,500 digital agencies based on Agency Spotter's proprietary research methodology. This report takes a broad look at digital agencies, including digital strategy, web, mobile, e-commerce, social media and more from around the world. ATLANTA, USA, June 13, 2017	(Newswire.com) - Agency Spotter publishes the Top Digital Agencies Report for June 2017 that ranks more than 4,500 digital agencies based on their credentials, focus and expertise in digital services, client feedback, and project work. 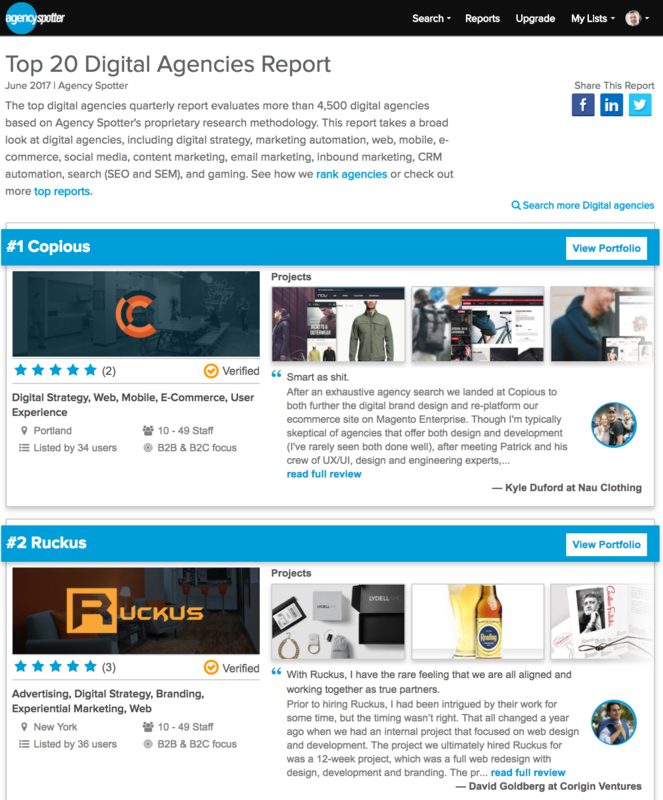 The Top Digital Agencies for 2017’s June report are: Copious, Ruckus, Dirigo Design & Development, BASIC, RNO1, Emerge Interactive, Croud, ESV Digital, Engine Digital, UNION, MindSea, Kworq, IQ Agency, Shakuro, MAXBURST, eHouse Studio, 10twelve, The Engine Is Red, Preston Kelly and Response Marketing. The agencies were selected based on Agency Spotter’s proprietary research methodology, which uses their websites extensive data along with qualitative and quantitative insights to evaluate many factors including each company’s qualifications, experience level, positioning, and client feedback. Agency Spotter’s top agency research reports are issued on a regular basis and cover more than a dozen service areas currently. Interested agencies and design firms are encouraged to claim their agency or apply to get listed and review the report methodology to be evaluated for future coverage. A B2B marketplace, Agency Spotter connects marketing decision makers with agencies across advertising, design, digital, and 38 marketing services. Attracting small, medium, and global enterprises, Agency Spotter is the global source for marketing agencies and is growing daily.